Martial Law victims continue to press President Rodrigo Duterte to reconsider his decision to allow the burial of the late President Ferdinand Marcos at the Libingan ng mga Bayani (LNBM) in Taguig City. He urged Duterte to reflect on whether his own mother would be proud of him for granting the hero’s burial to a ruler she strongly opposed. “I was with the mother of President Duterte – Nanay Suling Duterte. We marched side-by-side protesting against the Martial Law. She was very vocal against the Marcoses. 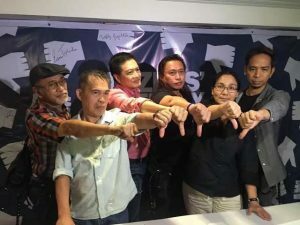 Mr. President hindi ko lang alam kung papayagan ng nanay mo ang pagpapalibing ng diktador na siya mismo nagpoprotesta laban dito,” Nuera said. 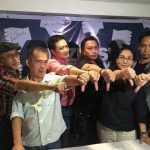 “How come the son of Nanay Suling would allow the burial of the dictator?” Nuera asked during a press conference on Tuesday. Meanwhile, Albay Representative Edcel Lagman said he cannot compromise on the issue of the burial of Marcos at LNBM. Lagman said he is willing to bring the case before the Supreme Court to stop Duterte from granting a hero’s burial to Marcos. “Aside from staging a protest, we will study the possibility of going to the Supreme Court. There is no compromise in this issue. He could stay forever in the air-conditioned crypt or he could be buried at Libingan ng mga Bayani,” Lagman said. He added that the decision “to give Marcos a hero’s burial is not cast in stone,” citing the change in preference of Duterte on the mode of amending the Charter from a constitutional convention to a constituent assembly. “He [Marcos] is not a bayani. He is a villain. He is a tyrant,” Lagman said. Quimpo also decried accusations that the documented accounts of injustice of Martial Law victims were merely propaganda. She said it entails a lot of paper work for a victim or his family to be officially recognized as Martial Law victims. “Death certificate, birth certificate, school and military records, human rights reports required to apply for reparation… Why do victims and families have to always carry burden of proof?” she said. “We cannot move on without due justice and the apology. Papaano ka magkakaroon ng peace and reconciliation kung si [Sen.] Bongbong Marcos ni ayaw mag-apologize?” Quimpo echoed. Meanwhile, Boni Ilagan of the Campaign Against the Return of the Marcoses to Malacañang (CARMMA), said he is pleading to Duterte to reconsider his decision allowing hero’s burial for Marcos. “If we bury the dictator in Libingan, we are sending a signal sa buong daigdig that in the Philippines, crime pays. Again Mr. President, we cannot move on if we start from a history that has been turned upside down,” Ilagan said. Ilagan claimed that the Marcos regime decimated the “cream of the crop” of his generation. He added that Marcos is disqualified to be buried at LNBM because he was “dishonorably discharged,” not just by any court, but by the Filipino people during the 1986 EDSA People Power. “Bilang sundalo, si Marcos was dishonourably discharged not by any court, but by the Filipino people when he was ousted in 1986. Yan po ay nasa regulasyon ng AFP sa pagpapalibing sa libingang yan. Kapag dishonourably discharged hindi puwede, disqualified,” Ilagan said. Another ground for disqualification for a hero’s burial, according to Ilagan, are the heinous crimes committed during the term of Marcos who ruled the country from 1965 to 1986. Attorney Suyan Villanueva of Duyan ng Magiting, for her part, said, “Ilang dekada bago siya napatalsik at bumalik ang ating demokratikong institusyon. Ang laban na yun was one by so much sacrifice. Ang laban na ito is really about protecting and defending history, it’s also about asking for justice,” she said at the sidelines of the conference. “Hustisya po ito para sa lahat na namatay, napahirapan sa panahon ng diktadura. Dahil sa kanilang paghihirap at sakripisyo, it is our moral imperative to continue ang pinaglaban nila,” Villanueva added.